Twitter is a microblogging platform that has come a long way since it published its first tweet. Not only has the platform sent out 300 billion tweets since its inception, the network now enjoys the patronage of over 270 million active users. Celebrities use it. Big, industrial brands are on it. And even that wanna-be comedian down the road is on Twitter – and for good reason. The social networking platform allows one to engage and start conversations with their target audience…using only 140 characters or less. 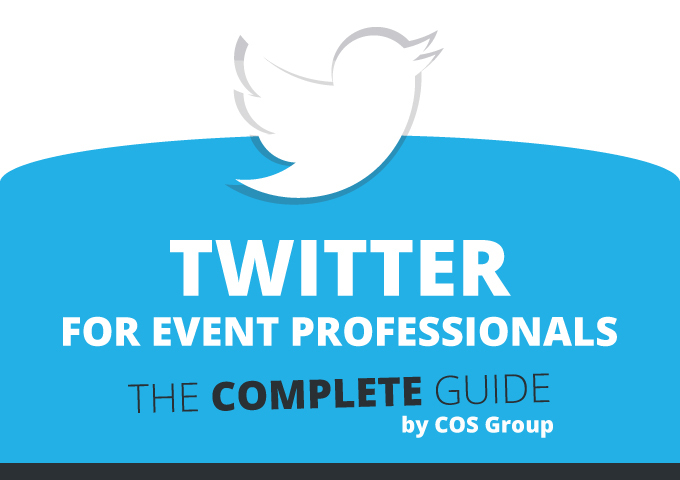 If you’re an event professional, you’ve probably used Twitter in your personal and professional life. But let’s take a look at how you can get more out of the platform for your event’s promotion and attendance. A Twitter contest done right can work wonders in engaging followers, converting them into email leads, and building relationships. A single, well-run contest can generate the same ROI as hundreds of hashtags and tweets, saving you hundreds of hours on social media. And in this section of the guide, we’ll look into Twitter contests – how to plan and run them to create buzz and generate attendance for your event. For starters, it’s important to remember that not all Twitter contests are created equal. Some contests are very basic and require minimal involvement from participants like “random draw” sweepstakes. Others like video contests, however, need bigger contributions from contestants and may even require a panel to judge the entries and pick the winner. Each of these contests has its own set of advantages and challenges. 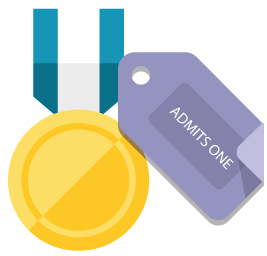 Picking a contest type requires a close look at your event promotion goals and how the contest in question will help you achieve those objectives. So without further ado, let’s see how you should plan your Twitter competition. This is an essential ingredient in the success of your contests, serving as the motivating factor for users to enter. So what prize to give away exactly? An iPhone, laptop or even the new Apple Watch may immediately come into mind as the hottest giveaways right now, but you want to keep your prize related to the brand and event you’re promoting. The answer is probably no. It’s likely that these users followed and joined your competition simply to get a shot at winning that expensive iPad or smartphone…and you spent hundreds of dollars for the contest’s prize alone. So giveaway something related to your show or conference that your target attendees would like. Not only will you attract the followers you want, it also helps you stay within budget. You should sit down with your team and set out the rules and regulations of the competition before you even think about posting it. Most of your followers could be real fans that love your events, but there will “smart” guys out there who will take advantage of any loopholes. Want to give away tickets to a concert you’re managing? Be careful or you could end up giving away limited and expensive seats in the VIP section. Outline the rules and regulations so you are protected from such fiascos. Think about how others would try to take unfair advantage of your contest and patch up those weak spots. 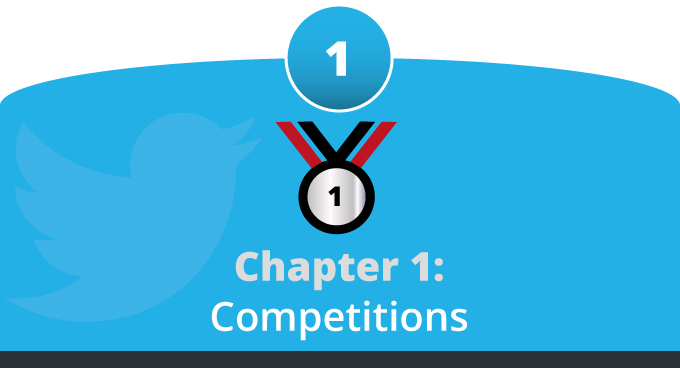 Your Twitter competition, and promotion efforts as a whole, will meet a lot of challenges along the way. Think about all the other ongoing contests and promotions on the network – you have to compete against those and rise above the ‘noise’ so you get noticed. You don’t have to do it alone fortunately. You can enlist the aid of influencers – people and brands on Twitter that are related to your industry or event…and have a substantial following. You will increase your reach exponentially when you buddy up with the right influencers, an essential component in your Twitter contest’s success. Believe it or not, you may already know some of them. 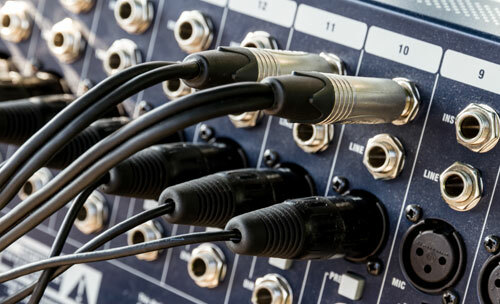 The people connected to your event – one of the speakers at your conference, a band that will play at your concert, or one of your sponsors – can help you get the word out about your contest. Monitoring hashtags related to your event can also help you find influencers and industry experts outside of your network. So you’re going to hold an exhibit for startups? 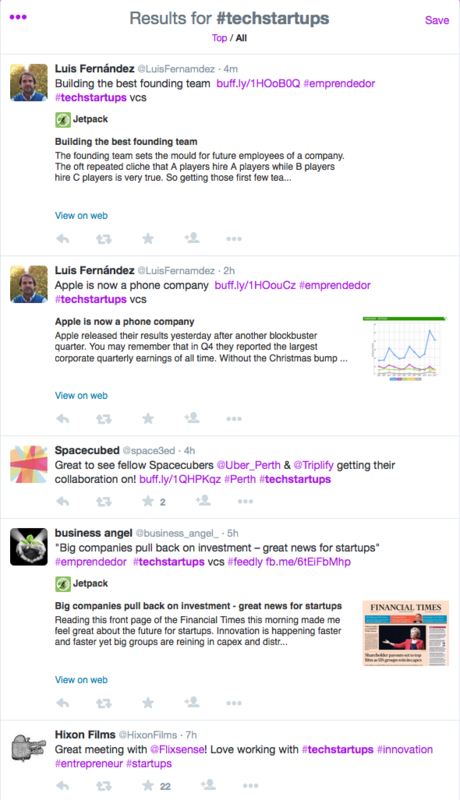 #Startups is one hashtag to keep an eye on. 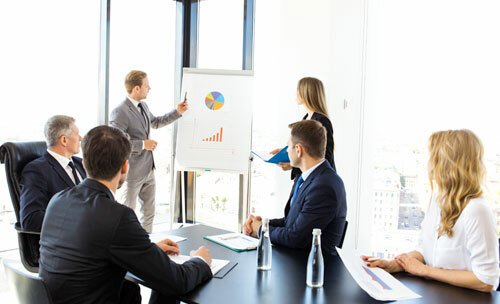 Are you about to host an enterprise IT seminar or conference? Check out #businessit and you might find locals who are happy to participate in your contest and even attend your opening event! Hashtags are clearly important – but not just for monitoring and finding influencers. They are also just as useful for tracking the buzz around your event. Picking the right hashtag for your contest may seem easy, but there are some serious considerations to take before deciding on one. Whether you’re managing the contest and event for a client (which probably you are) or promoting one of your own competitions, you want to keep track of how your contest hashtag is faring in popularity. Most of the available tracking tools out there base their reports on the hashtag. In light of that, it’s important to pick a hashtag that isn’t heavily in use…otherwise, the numbers you’ll get from tracking and reports would be skewed. It’s highly recommended to have several candidate hashtags for your competition, and check each one via Twitter search. Cross out those that are being used heavily. You may stumble upon a few pristine hashtags – those that are not used at all. That said, it’s ok to use those that were used but stopped activity at least a year ago. Aside from tracking purposes, your competition hashtag can also play a huge role in promoting brand awareness, especially if the hashtag trends on Twitter! The competition between trending hashtags may be too stiff and it may seem unlikely for your contest hashtag to make it to the list. But hey, it doesn’t hurt to be prepared for the best! So pick a competition hashtag that contains your brand – perhaps one that describes what you’re giving away or is tied to the show or conference you’re building buzz for. Oh! And keep it to 20 characters or shorter. You want to regularly promote your competition through tweets, and you want to time these promotional posts for maximum impact. Tweeting on Fridays can put your contest in front of people who’re actively looking for competitions to enter, and it could work if you’re running one-day competitions. But since your contest is tied to something bigger – part of an overall event promotion plan in this case, you want to run longer competitions to ensure that majority of your target attendees get to see it. Knowing the social media habits of your followers can go a long way in perfectly timing your tweets. When are your followers online, and for how long? Is there a specific day or time when the majority of your followers are on Twitter. The more you know about your target audience’s Twitter habits, the easier it is to time your promotional tweets. 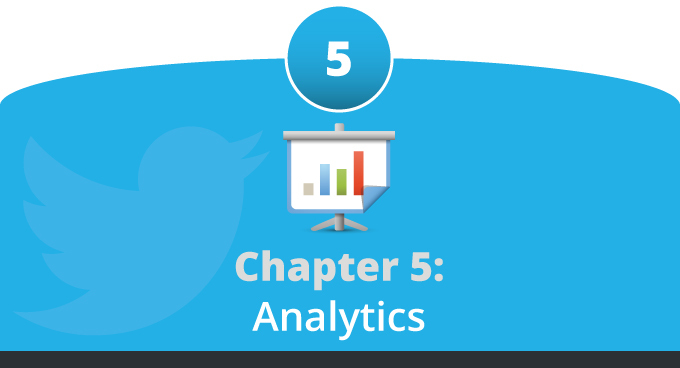 You can find more about your followers tweeting habits in the analytics section. Sweepstakes and vote contests have the lowest barrier to entry: users only need to key in their name and contact information to enter these competitions. And that’s it! Users are entered to a random drawing for your giveaway in sweepstakes. Vote contests, on the other hand, give your followers the chance to decide which speaker to invite, band to play, or product line to showcase in your show or concert. Another simple competition that brands love to use is “RT to win”: it all starts by asking participants to retweet a specific message or post to enter the competition, and a winner is randomly chosen from all the entrants. And that’s it! Time your “RT to win” contest so that it is very likely to be seen by current and potential followers, and your Twitter account may go from a couple of hundred to thousands of followers and retweets. Such contests are very useful for getting users to interact with the brand you’re representing and even help shape your future event, especially if you don’t have that many followers. Photo competitions and essay contests are excellent tools if you want to increase the amount of user-generated content for your brand and contest while still keeping it easy for users to participate. It’s a great way for producing branded content without sacrificing budget. Recent research published by content marketing firm Hubspot showed that Generation Y and Millennial consumers are less likely to buy from a brand that doesn’t have user-generated content. 8 out of 10 participants in the research regarded user-generated content from people they don’t know about as a strong indicator of a brand’s quality, greatly influencing their buying decision. 51% even said that they value UGC more than the opinion of family and friends! So if you want to increase the likelihood of your followers booking their ticket to your conference, exhibit, or trade show, generating more UGC through essay, photo, and caption contests is a worthwhile endeavor. And last but not the least, there are contests that require a lot of time and effort from users who want to enter. Video contests, for example, will only attract a small percentage of users, only those who have the time and video editing/creation skills to enter. Such competitions may not create as many user-generated pieces of content like those mentioned in the section above, but they have the potential to get you that one high-quality UGC that can go viral if backed with the right promotion. Moreover, since your followers get to vote and decide who wins, your engagement levels also get a boost. People may click on your contest link and still back out from entering at the last minute. You want your contest page to grab visitors’ attention and excite them, and this starts with the title. Keep your title short, sweet, and with a clear call to action to maximize entries: tell them what to do and what they can get out of joining. So you’re giving away free tickets to a concert? A headline like: “Enter & Win VIP Tickets To XYZ Concert!” can help maximize entries. It’s straightforward and has a clear call to action. Including a high-resolution image of your prize can also boost entries to your contest as it gives visitors something to look forward to. Going back to the “VIP ticket” example above, an image of classy guests holding the VIP tickets can present the giveaway as something really valuable and exclusive…and you can bet that people will sign up for it! You don’t want page visitors to scroll up and down just to find the entry form and prizing info. Instead, you want to draw their attention to these 2 elements the moment they go to your page so they can read the contest rules and sign up the soonest. Your contest rules may require long blocks of text to fully elaborate and get legal issues out of the way. However, keeping all the legal talk in your contest page is one way to lose the interest and kill the excitement of users. Create a separate page for your rules and restrictions instead and link back from the actual page. Doing so keeps all of your bases covered without sacrificing the user-friendliness of the page and potential conversions. Your entry submission form, on the other hand, should contain all the necessary fields for lead gathering: name, email address, a field for attachments (for video and photo contests), or a text area (for essay competitions). You may include more fields in your form to capture more personal details like city, age, birthday, and more. But you should keep in mind that adding more can increase the barrier to entry as not everyone is keen on sharing more personal info. So followers visited your contest page, took the time to fill out the form, and hit enter. That’s good! But why not give them the extra nudge to share the competition through their network? These users have gone out of their way to participate which means they trust and believe in your brand enough…and majority of them would take the extra step of sharing it socially but only if you ask them to. Make it easy for entrants to share your contest to their families and friends by adding social buttons on the contest page itself and on the “Thank You” / confirmation page after they enter their details. Better yet, include clear calls-to-action such “Share This Now” or “Let Your Friends Know About It” with an arrow to the social buttons. 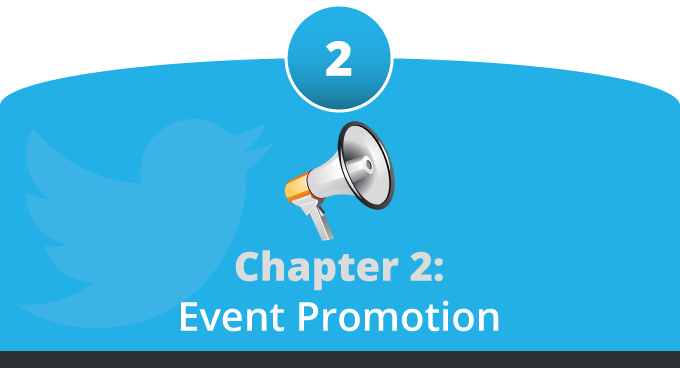 Scouting for potential partners and people connected to the event is the first step in a successful Twitter event promotion campaign. You want to build a list of speakers, sponsors, and influencers that mention your event. Keep a close eye and prioritize those that have a healthy number of active followers as you don’t want to spread yourself too thin by reaching out to everyone. Once you’ve found the key people that can make a huge impact in your Twitter marketing campaign, it’s time to reach out and get these influencers involved in the planning phase. Be generous in tweeting and retweeting the people connected to your event as doing so helps you achieve 2 things: First, it associates your brand with names that your target audience looks up to. Second, it’s a great way to smoothly introduce your partners, speakers, and sponsors to attendees – allowing you to build excitement and hype. Hashtags are crucial for successfully promoting on Twitter. A well-chosen hashtag will let you monitor tweets around your event and allows fans and potential attendees to follow the conversation. Once you’ve picked one however, be sure to stick to it. Changing your hashtags often will lead to confusion! Take your time when deciding on an event hashtag: sitdown and check out the following guidelines for creating an effective hashtag. Make sure your hashtag is brand new – otherwise it’s almost impossible to track which conversations are related to your event. You can check if the hashtag you’re eyeing already exists by searching on Twitter. No profanities! It doesn’t matter if it’s an acronym or otherwise, your hashtag must be wholesome. You may want to check an urban dictionary to see if a term could be construed as vulgar or offensive. Keep your hashtag short, sensible, and easy to use and type as you want to use the hashtag when replying to tweets about the business or event, which further raises awareness for the hashtag. Finding potential attendees starts by knowing your event inside and out. Think about the relevant keywords and hashtags to your seminar, conference, or exhibit. Are you organizing a digital marketing conference? If that’s the case, it may make sense to ‘listen’ to hashtags like #internetmarketing and #digitalmarketing – both of which receive at least 100 tweets per hour. Maybe you’re planning an exhibit showcasing the latest tech products from startups in your city? Following people that tweet hashtags like #startuplife, #entrepreneur, or #techstartups makes a lot of sense. 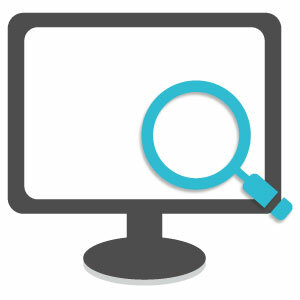 While you can use Twitter for searching hashtags, there are websites and online services that specialize in finding and grading hashtags like Hashtag.org and Ritetag.com. These services help you find and focus on the fastest moving hashtags that are most relevant to your event. You can search for relevant and popular hashtags by using Hashtags.org. Once you have identified the hashtags, follow the people who use them and engage in conversations with them using @mentions, so they follow you back. You can also search for the same keywords in user bios. You probably follow a lot of people and organizations on Twitter. An average Twitter user has 208 followers according to the network. It’s not a towering number but it would be surprising if you have read all the tweets of those you follow. People log in and out of Twitter countless times throughout the day. You may have raving, passionate fans, but they won’t just sit in front of the computer all day waiting for your announcements. A good portion of your followers will miss some of your tweets so be ready to repeat your tweets. You can use a tool like Hootsuite (highly recommended by the well-known social media expert Ian Cleary) to post tweets at certain dates and times – very useful especially for posting during the night or weekends. Note that repeating the exact tweet over and over isn’t recommended as that could come across as spam. Rework your original tweet – try to convey the same message but in different catchy ways (e.g. rework a statement to a question). Again, you want your message to reach as many of your followers (and maybe their friends too) as possible so don’t hesitate to tweet more for maximum coverage. Compelling Testimonials = Favorite Tweets! Testimonials can take the buzz around your event to a whole new level – especially when they’re given through social media channels. It feels more genuine and other users can join the conversation, creating even more buzz! So what should you do if your custom event registration app gets a thumbs-up or previous attendees share their positive experience with you via Twitter? You favorite the tweets! By compiling the tweets as favorites, you can showcase them as testimonials on the next edition of your live event. Use Twitter’s handy embed tool for added impact. The tool lets you pull the photo and name of the user who dropped a positive mention. Your attendees handed over their payment details and maybe even booked a flight to get to your event. They’re going out of their way to attend – they surely wouldn’t mind sharing about their attendance with their friends and other individuals who could be interested too. Make it as easy as possible to share their attendance on Twitter. You can create a “Thank You” page with a prominent and clear CTA asking them to share the event on Twitter. You can do this manually or you can use event software to get the job done. They may even find a fellow attendee from their network to take the trip together – all the while promoting your event. It’s a win-win situation! It’s been said before but for the sake of emphasis we’ll say it again: use images heavily if you want to succeed in social media…but most especially in Twitter where words may not be enough because of the 140-character limit. Just check your feed for proof. You’ll notice that it’s those tweets with images that stand out the most – catching reader attention and sparking curiosity far better than plain, boring text tweets. Of course, it’s possible to overdo this. Adding an image (especially those that promote and have CTAs) to every single tweet could make you look overly promotional and pushy, ultimately annoying your followers. Use images heavily in your event promotion but don’t forget to vary your tweets. It’s ok to post plain text tweets especially if they’re well thought out. Or you can try Vine as an alternative – a mobile Twitter app that lets users create and post video clips (max. 6 seconds). A few seconds may not be enough to get in your full message, but you can use vines to capture certain moments, moods, or surprises before or during your event. The 3 R’s are: retweet, respond, and results. If your followers are engaging with you – tweeting your hashtags, retweeting your tweets, or marking them as favorites – respond to them. After all, isn’t that what we’re after – to get more people to talk about your seminar, conference, or show? Doing so will get the conversation going and will bring your brand closer to your audience. You want your responses or retweets to be ‘in line’ with your event. If you’re holding a gala with professionals as attendees, you want to keep your responses professional and precise. On the other hand, if you’re holding a fundraising party or concert, you want to respond in a light-hearted and fun manner. Don’t hesitate to take it a step further by mentioning with a @-sign to target attendees and other people involved in your tweets. 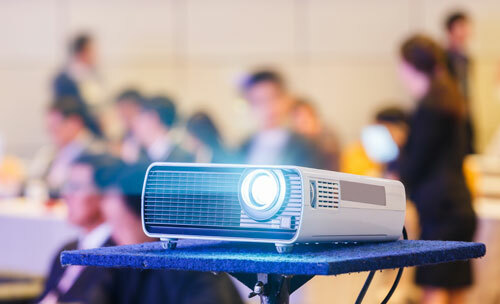 Why not express your appreciation for one of your speakers, put the spotlight on your caterers who did a good job, or shout out to one of your attendees who had a great time and is vocal about it? Just remember not to start with the @mention so your tweet is seen by everyone in your feed. Most of your tweets are non-paid. But don’t stop there! You can use promoted tweets to further expand your promotions. You can run these as Twitter timeline ads and you can bid on your company name and hashtag. 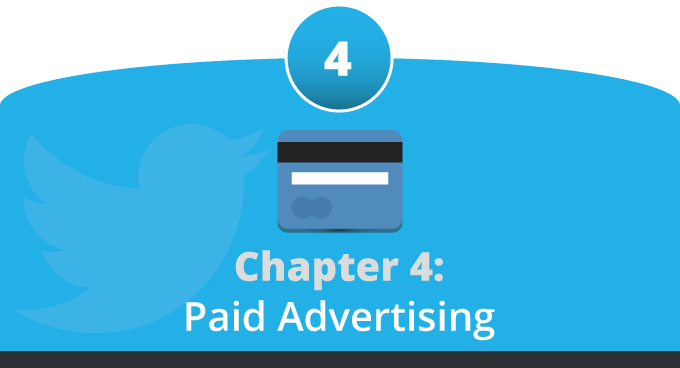 Paid advertising on Twitter requires a closer look so we dedicated a section for that so be sure to check that out! It’s important to remind ourselves – event professionals and marketers – why people including your target audience log in and out of Twitter. And that is to start conversations with like-minded people: to get and give opinions and comments to brands and people they care about. Driving ticket sales and registration may be the ultimate goal, but your event will only get the Twitter love it deserves if you strive to create genuine conversations first. Customer service via the phone or email often takes 24 hours or more to resolve, and depending on the concern, it may be fast enough to satisfy the customer. But why resolve a complaint or answer a query in 24 hours when you can service your customers real-time (almost) through social media networks like Twitter? Here’s one of the biggest advantages of social customer service: no wait times! There are no queues to keep people waiting, no emails to sift through. If the query or issue is minor, a single tweet could be enough to get the job done. 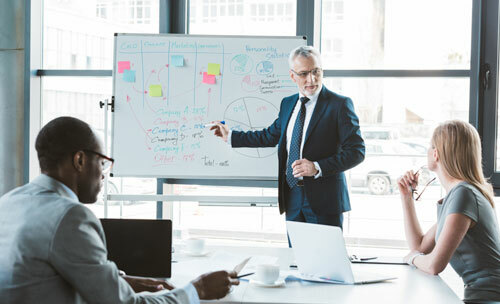 If the problem is more complex, you can take the conversation to the phone – and the customer doesn’t have to wait for the next available representative. 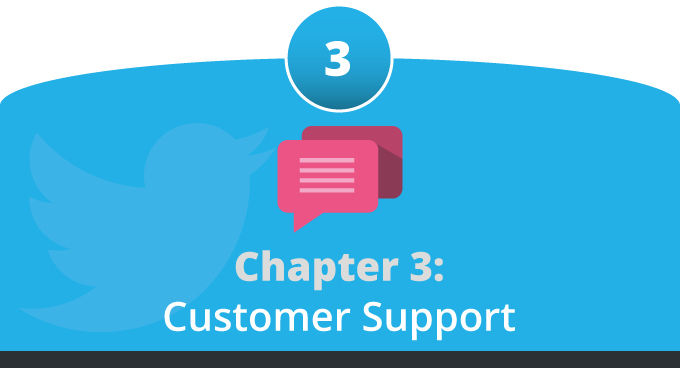 Carrying out customer service via Twitter means allowing current and potential followers to see what issues or hiccups you’re having along the way – and that’s a scary thought for some businesses. But realize this: today’s customersare knowledgeable and understanding enough to know that there’s no perfect company or business. It’s the way you handle those issues and questions that customers are keeping an eye on. Instead of being scared of the transparency brought by social media, treat it as an opportunity to promote a positive image. People talk about great customer service, and every question or issue posted on your Twitter page is an opportunity to make a customer happy…and get other people to talk about it. Servicing your customers through Twitter takes less time and money than traditional mediums like phone or email: there are no wait times and no need for call center facilities. A team of social customer service personnel and a Twitter account is all you need to attend to your customers. This is perhaps the biggest reason why you should start servicing customers via Twitter and other social media channels: it’s what they expect of you. JD Power & Associates published a social media benchmark study, involving 23,200 US online consumers and 100 US brands across 6 different industries. 67% of the consumers who participated have used a business’ social media page for customer service, with the other 33% using the social pages for marketing and engaging with brands. Consumers aged 18-29 years old are more likely to use a company’s social media page for customer service (43%) instead of marketing (23%). 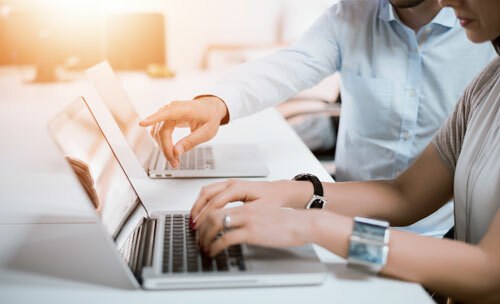 The research revealed that social interactions between consumers and businesses vary across different industries, although quality content and responsive staff stood out as 2 keys for higher customer satisfaction. Gone are the days when your Twitter account was just for plugging stuff you find interesting or announcing promotions and campaigns. Your customers and target attendees may not be vocal about it, but this research reveals that they’re more likely to engage with your brand if you are to provide customer service via Twitter. We hope the reasons above are enough to convince you that providing customer service to followers and potential attendees via Twitter is worthwhile. But it’s important to have the right tools for tracking conversations in your page before you dive in. After all, not every post or conversation in your Twitter page is actionable or a customer inquiry. Response Rate: This metric tracks how responsive your social customer service team is. 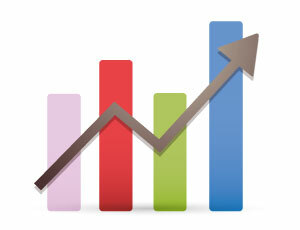 If your Twitter page is getting 100 mentions a day, how often you respond is monitored and presented in percentages. The more mentions your brand gets, the more tweets in response you should send out…and if that isn’t the case, it’s worth checking what went down on your Twitter page. Mentions Over Time: This metric, on the other hand, allows you to see when your followers are most active. This lets you create a schedule for social media servicing when your user-base posts the most. It’s less comprehensive than Hootsuite especially in the management department, but Tweetbeep may be enough especially if you’re not getting a dozen or so mentions per hour and want to stick with simple tools. If you or your team is accustomed to responding and resolving customer inquiries via email or phone, switching to Twitter for servicing clients requires a positive and open mindset. Twitter’s 140-character requirement may seem like a hindrance, but take the limit instead as a “helping stick” of sorts – one that compels you to find ways to efficiently serve your customers via social media. Don’t pretend to provide social media servicing only to direct followers and customers to a hotline or an email address, doing so only delays the resolution process. And think about it, responding with “Contact our customer service hotline 123-4567 for help” sounds really unhelpful and disinterested. That said there are customer service requests that require a private discussion, especially those that involve delicate financial and personal details. These conversations need to be taken to the phone or email…and that’s OK as long as you don’t lose the progress you’ve made in your Twitter conversation. You can publish great content related to your target attendees or build-up your upcoming event through marketing materials and promotions…but if you’re not responsive and transparent in dealing with customer service requests, your follower-base’s satisfaction levels would tank. People nowadays can easily research every statement or response you give.And if you’re not being transparent, your followers can easily find out and you can easily get grilled for it. Just as important is the speed of your response to customers. You want to get in contact with a customer immediately if he/she is obviously upset or if the concern is of serious nature. @replying to them is usually the best way to go as this lets you reply to anyone while keeping the conversation transparent. An attendee may encounter a rare issue in your event’s registration page and airs his frustration on their Twitter account. Take that as an opportunity to show how efficient you are in servicing your customers via social media: continue the conversation, ask for further details if necessary, and respond with real-time updates as you fix the issue. You’ll also get rants and complaints on your Twitter page from time to time, and some of these may be uncalled for. But don’t go out of your way to prove you’re right and that the complainant has messed up. Remember, the goal of social customer service isn’t to prove who’s right or wrong but to resolve issues by your current and potential customers. So ask them instead if they’d like you to help them and give the information they need. Most of all, when you're conducting customer service and customer relationship management, you need to be forthcoming. It's easier than ever for your customers to research whether or not you're telling the truth. And if you aren't, they will punish you by mobilizing and making their anger heard. I can give you plenty of examples where this was the case. Despite this warning, the benefits to your brand and your customers by using Twitter as a customer service platform are immense. Comcast, Dell, Southwest Airlines, Ford, Starbucks, and many more have been successful in promoting a positive brand image and solving customer problems with less cost than phone or email service. Twitter and social media are helping redefine how customer service is done. It’s nice to get free traffic – but it takes time before you see results. For driving attendance to a conference or exhibit, this may not cut it. Fortunately, you can easily cut down the time it takes to build your Twitter following and start driving targeted traffic to your event registration URL or page. It’s very likely that you’ll pick Promoted Tweets for marketing your event on the network for reasons you’ll see in a bit. Nevertheless, let’s take a look at what each one does. Getting started with Promoted Tweets is pretty easy: Sign in to Twitter Ads via Twitter for Business, and click the “Let’s Go” button. You can sign in to the Twitter Ads page anytime you like once you’re done setting up your account. 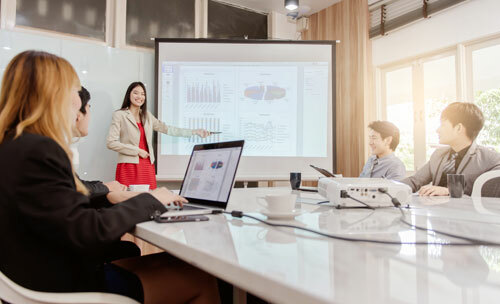 Within the ad platform, you will be welcomed with a few helpful resources for setting your ad campaigns (checking out these resources is highly recommended). Click OK and you will be brought to the Twitter Ads interface. You can set your target locations within the interface, very handy as you want to show your Promoted Tweets to users who can attend the event. Why promote an exhibit for London startups to a business based in Edinburgh, right? You can choose to compose a brand new tweet for your campaign and you even have the option to include a Twitter card (with your site URL, image, headline, CTA). Alternatively, you can set the campaign up to promote your latest tweets. There are a couple of things you must know before you dive in however. Perhaps you are accustomed to setting up ads on Facebook along with its rich targeting options. 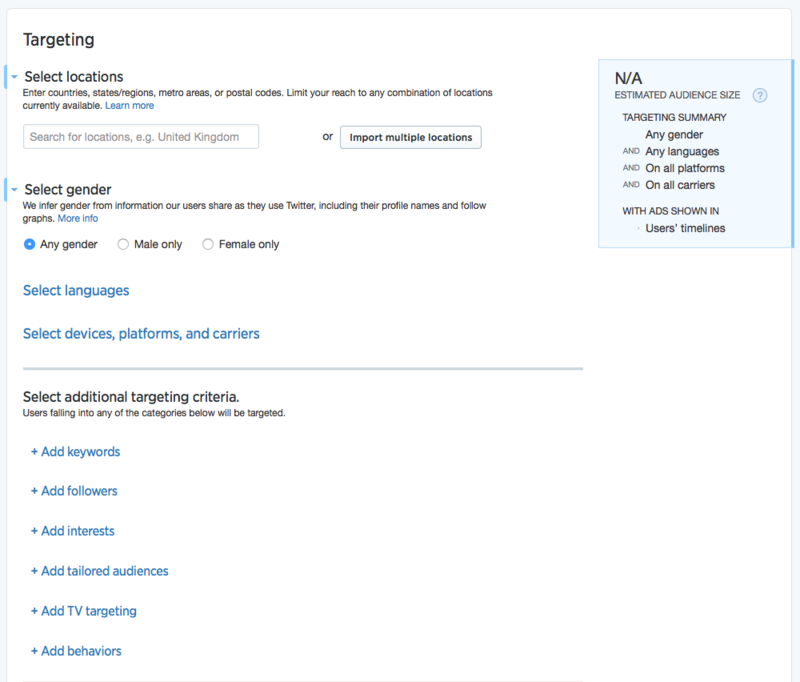 You won’t find those in Twitter unfortunately: the network’s ad platform only targets people whose information in the bio matches your Promoted Tweets.To work around this, optimize your profile and tweets for the keywords or phrases that your target audience uses. Another thing to watch out for is the rate at which you can exhaust your budget since you cannot fine-tune your ad campaign with numerous targeting options. A hundred pounds may last a week or even longer in Facebook since campaigns tend to be highly targeted…not with Twitter. It can only take an hour to consume your budget if you’re not careful, and you have to remind yourself to login and cancel the campaign once you’re done. The downside about Promoted Tweets is your lack of advanced targeting options like you would get with Facebook. Twitter automatically targets your Promoted Tweets towards people with information in their bio that matches your account and your tweet. The only way to work with this is to make sure your profile and tweet are keyword optimized to hit your target audience. Now we get to the second advertising option with Twitter: Promoted Accounts, accounts that people don’t currently follow and are suggested by the network. This option works best if you want to boost your follower count and growth.Promoted Accounts can help your business or company be easily discovered by people who’re likely to follow, buy, or interact with you. When it comes to promoting events however, this advertising option seems out of place…unless you’re willing to start from scratch and intend to create a separate account for your tradeshow or conference! Wouldn’t it be nice if your chosen hashtag for your live show or exhibit makes it to the “Trending” section of Twitter overnight? Well, that’s what Promoted Trends are for! These ads appear on the every user’s homepage throughout its promotion. Not only that, it’s also displayed on Twitter for iPhone and Android as well as TweetDeck. 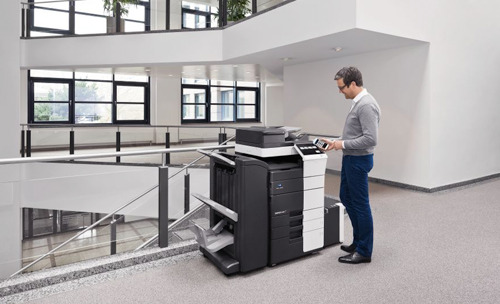 Just imagine what it could do for your business? The only problem is that opting for Promoted Trends can take over£78,000/day! So unless a show of international magnitude and are sure you can recoup the extremely steep ad spend, steer clear from this one. All advertising options within Twitter are all labeled “Promoted,” distinguishing them from other trends, tweets, and accounts. Sponsored Tweets is a Twitter advertising service that allows you to pay users and celebrities with substantial following to tweet a specific, chosen message. These tweets aren’t different from the usual posts in your Twitter stream – except for the mandatory disclosures attached to the tweet like #ad or #sponsored. Also note that the shortened URL uses spnsr.tw. You can take a personal look at the sponsored tweets by typing in “spnsr.tw” and your keyword, industry, or subject at the search box. This will show the people who sent out a spnsr.tw in your chosen topic.You can also remove any keyword, leaving out spnsr.tw. Doing so will show you the latest sponsored tweets across a variety of topics. Sign up as an advertiser to enter a tweet into the system. There are 2 payment options: pay whenever a user tweets your message or when someone clicks on your link. You can then select from the list of userswho fit your criteria. Remember that the users will have to accept your offer and your message before they can send a sponsored tweet on your behalf. Sponsored Tweets doesn’t have rich targeting features like Facebook, but it’s probably enough for event professionals. It’s just a matter of finding the user with the right audience. It’s also not possible to sort or filter potential tweeters for relevance. This means you have to spend a few minutes manually checking the profile, bio, and tweets of each user to make sure it’s a good fit. It would’ve been nice if they included the user’s bio at least. But of course, you can’t discount the very real possibility of finding a perfect match: a Twitter celebrity whose audience isn’t just very responsive but also matches your demographic. 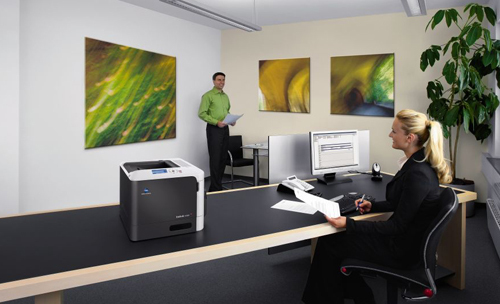 Imagine what that can do for your show or seminar! BuySellAds, while a well-known marketplace for display and advertising space,has a section that allows businesses to buy sponsored tweets (per tweet/price) from its list of users. Sponsored tweets bought from the marketplace have *ad at the end while the shortened URL uses bsa.ly. Get started with BSA by registering an account. From there, you can go to the tweets tab and browse for potential tweeters of your message / advertisement. And here’s where BSA has an edge over Sponsored Tweets: the former lets you sort users by category. Select a tweeter, click on their name, check their bio, and buy a tweet with the Buy Now button. BSA also lets you schedule your tweets at specific times during the setup process. The only downside with BSA is that you need to click on every tweeter to input your message. This weakness, however, can turn out to be a strength if you’re the type to customize every message for every user and follower-base. It could also be handy for A/B testing your tweets for maximizing returns. Event promotion via social media and analytics always go hand-in-hand. One is pretty useless without the other. You can send out as many optimized tweets as you can.But without analytics, it’s impossible to find what’s working and what to improve in your Twitter event promotion. The good news is that Twitter has a free and very useful analytics tool that you can activate and access within your account. Keep in mind, however, that you can only access Twitter analytics if your account is more than 2 weeks (14 days) old. So if you’re starting from scratch, be sure to remind yourself to launch analytics after 2 weeks. To access it, go to https://analytics.twitter.com/. You should become an advertiser or use Twitter cards to activate it but you don’t have to engage in any paid advertising to do so. And that’s it! 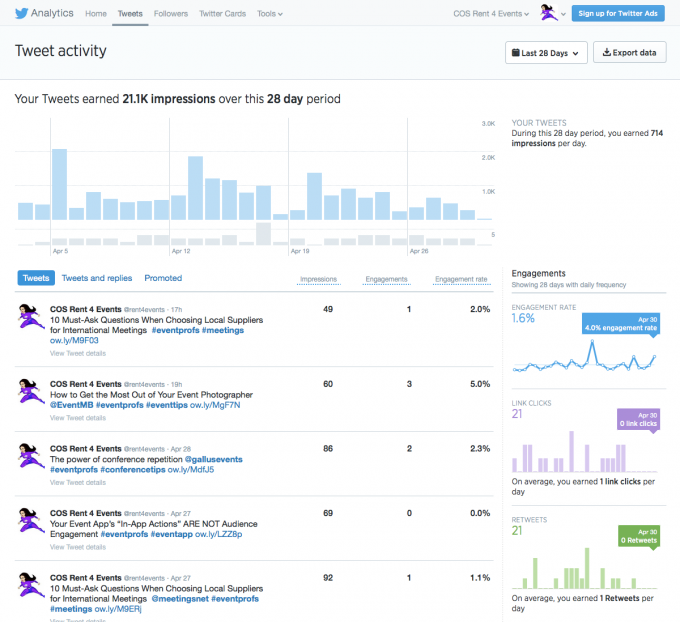 The analytics tool will start collecting data that you can use to optimize your event promotion campaigns on Twitter. Next, let’s take a look at the different sections of the tool and what information you can find within each. The topmost part of the page shows you a 28-day summary / statistics of these metrics while also indicating how much you’ve gained or lost within the period. But while having a quick overview of your Twitter’s progress is nice, we must now turn our attention to the other 3 sections to find more useful data. 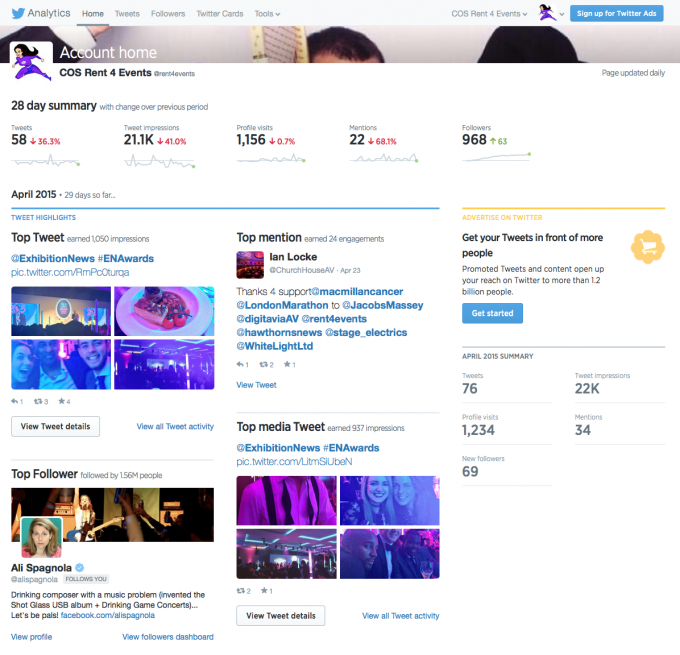 The Tweet Activity page displays stats that are relevant to your entire Twitter feed as well as your individual tweets. If you want to keep a close eye on the tweets you sent out on a specific date range, you can set the tool to display that by using the options in the page’s top-right corner. The same options, by the way, let you export data so you can compare and track your statistics as you go along. 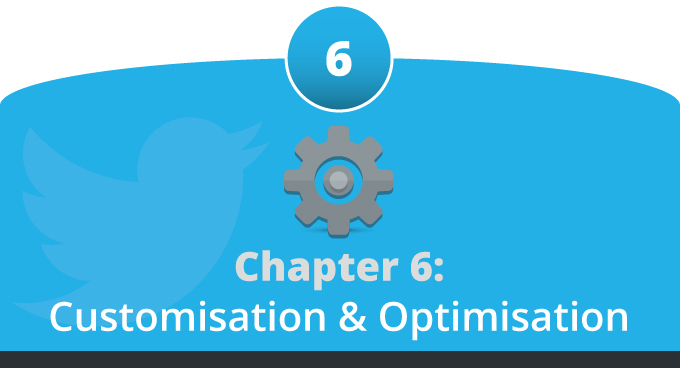 Keeping an eye on this section gives you valuable insight regarding the effectiveness of your tweets. The data lets you find what topics and types of tweet (image, video, link, etc.) get the most engagement. You can even check whether short or longer tweets work best for your audience, compare your recent performance to previous efforts, the time of the day when you get the highest engagement, and more. 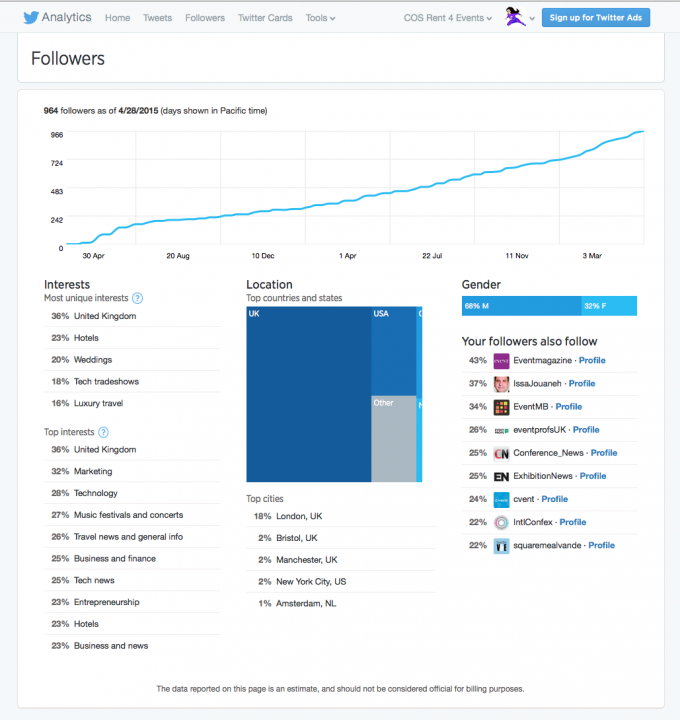 The followers section of the analytics provides detailed info regarding the users who follow you. The graph shows you how your follower-base has changed over the past year. Below there are 3 columns: interests, location, as well as gender and a section on who your followers follow. Interests:Looking at your target audience’s various interests can help you see if you’re on the right track with your tweets…or if you are getting sidetracked by sharing unrelated content. It also gives you ideas on how to better connect with your audience: maybe you can find an interesting connection between your event and one of your follower-base’s interests. Location: This section helps you create and post geo-specific content for your followers, very helpful for promoting live shows, exhibits, etc. It tells you at a glance if you are building an audience in the right location. Who Your Followers Follow:Keeping tabs of other users that your audience follows lets you understand the type of content or tweets that your followers find interesting and enjoyable. It’s a good idea to follow these users (maybe take a page from their Twitter playbook) and share their content to take advantage of your audience’s familiarity with them and boost engagement. This section is useful only if you use Twitter cards like summary, photo, product, player, app cards and others. It will help you dig deeper if you’re using paid advertising for promoting these cards, allowing you find out which type works best for promoting your event and why. Your Twitter handle can only have 15 characters – but don’t fret, there are many ways to use that character limit for maximum impact. For starters, using your company or business name makes a lot of sense – it’s simple, easily recognizable, and effective. But what if your business name goes beyond the 15-character limit? Such situations demand a bit of creativity. You may need to trim unnecessary words, replace letters with numbers, substitute certain words with search terms, or come up with abbreviations – but whatever it is you do, make sure it’s easily recognizable. True, Matt Cutts made it clear that links and mentions from social networks like Twitter don’t affect search engine rankings. That doesn’t mean, however, that you can’t use your profile, especially your bio, to target certain keywords and get traffic from it. 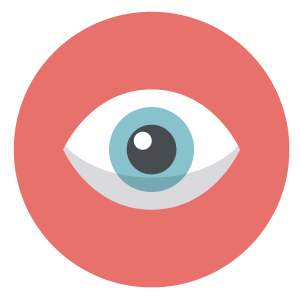 Big G can view and index your profile as long as you keep it public. This means you can put keywords or search terms in your bio and even rank for them! Keep this in mind though: your bio has a 160-character limit and you shouldn’t just lash out and slap a keyword or two in it. You want your Twitter bio to convert onlookers and visitors to followers so take some time in composing it – ensuring you’re making maximum impact in the fewest characters possible. It’s impossible to effectively communicate what your business does in 160 characters even if you’re really good at copywriting. Your profile should get important information across to your readers, but it’s best to leave the thorough explanation to your website. You can easily do that: Simply log in to your account, go to your profile, click on the “Edit Profile” button on the top-right portion of your page, and add your URL. Following relevant people is a good idea, but following way too many relevant people isn’t. Perhaps you’ve seen profiles with a 1-to-10 follower-following ratio, and it looks desperate. Maintain a 1-to-2 ratio especially if you just created your Twitter account. Don’t follow just about anyone who mentions a hashtag or keyword you’re targeting, follow brands that are similar to yours, industry experts you have relationships with, and of course, follow back folks who followed you! Twitter lets you pin one of your tweets at the top of your profile. It’s very handy for giving maximum exposure to one of your most important messages. To pin a tweet, simply view your profile and select the tweet you want to pin. Click on the 3-dots icon and select “Pin to your profile page.” Simply refresh your browser and you’re good to go. Easy, isn’t it? But which of your tweets should you pin? There are many choices: If an event you’re organizing is just a few weeks away, you may want to pin a tweet linking to your registration URL. Important announcements too should be considered for pinning. Or maybe you have a tweet that received a lot of re-tweets. Why not pin that and get more RT’s? Start your tweet with a hard-hitting headline or phrase that presses your target audience’s emotional buttons. Post your link next to your headline – and don’t forget to use a URL shortening service so you don’t run out of characters. And lastly, attach relevant hashtags used by influencers and experts in your industry to help you get noticed by users who follow the hashtag. Twitter’s timeline has different filters for viewing tweets, replies, photos, and videos. The default view, however, shows only the tweets – with @-replies and conversations hidden away from plain sight. So how should you reply to a tweet while ensuring it isn’t buried? Here’s a trick: Do NOT start your tweet or reply with the “@” symbol. Doing so tells Twitter that the tweet is a reply or a part of a bigger conversation – prompting the network to hide your tweet. One trick you can use is to start the tweet with a dot followed by @twitterhandle and the rest of your message. 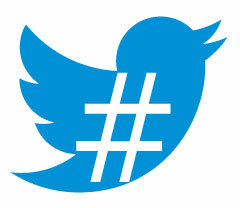 Hashtags are all over the world of social media, and in Twitter, the symbol is used for marking keywords and topics. Pick the right keyword or topic for your hashtag and your message could be seen by people who’re actively looking for those terms. However, squeezing too many hashtags and keywords in your tweet is ill-advised. Event managers and professionals should have their official #eventhashtag that attendees can follow to get updates about your event. Three hashtags per tweet is more than enough, go beyond that and you’ll look desperate for attention. Perform a keyword search on Twitter to find the hashtag used by your influencers and experts in your niche. Don’t start your tweet with a hashtag. It looks like spam! Favorites came into play last year when Twitter changed its look– giving Favorites its own tab in the navigation bar. With its new found prominence, you may want to give more thought and be more strategic when marking tweets as Favorites. 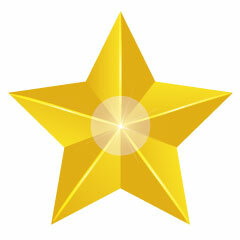 One popular idea is to use the Favorites tab as a section for testimonials and positive feedback. Favorite raving reviews from fans and event attendees as well as positive comments from the popular figures in your niche. Look for the tweet you want to favorite and hover your mouse over it for a while. Click the star icon. It’ll turn gold, which means the tweet is now a favorite. Retweeting is an easy method for sharing information with your network and giving the person retweeted a virtual ‘pat on the back.’ Done right, retweeting associates you and your brand with leaders, thinkers, and influencers that your fans and potential attendees look up to. Use “RT” or “via” when retweeting. For example: “RT:@rent4events and continue with the message” or “The original message via @rent4events.” Both formats are acceptable as they have proper attribution. On the other hand, you don’t want the attributions to get out of hand – filling your tweet with multiple @twitterhandles. Simply mention the original poster of the tweet and you’re in the clear. Get indexed by Google by retweeting an extremely popular tweet that you wish to associate with your name or brand. Always check the links in your retweet! You don’t want to make a fool out of yourself by linking to something that’s not even related to you and your brand or event. Twitter – along with the biggest social networks like Facebook, Google+, and YouTube – allows users to post a large header image. Introduced in 2014, Twitter’s header image can be as big as 1500x500 pixels – that’s a lot of online real-estate at your disposal and you should make the most out of it. The header image can be found at the top of your profile page and it’s significantly bigger than your Twitter profile photo. It’s one of the first elements of your profile page that a visitor sees – it makes perfect sense to make it as captivating as possible and save it at the best resolution possible. 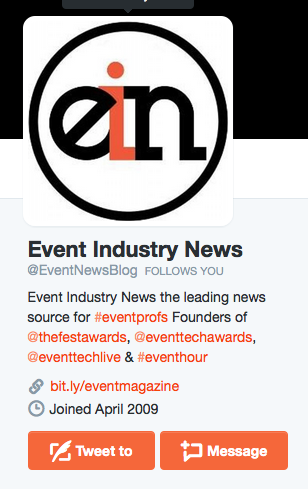 So what precisely do you put in your header image for maximum event marketing impact? There are many ways to skin this cat. If you have a registration page or site up, you can simply use the same header image for your Twitter profile. Have a catchy slogan for your event or an interesting quote from one of your speakers? If you do, you should consider including that in your header. Maybe the previous year’s edition of the concert, exhibit, or show you’re organizing really rocked. Find a picture that best captures the ‘essence’ and unforgettable moments of yesteryear’s event and use it. If you want to keep it easy and effortless, you can use a solid color header – one that’s in sync with your logo and profile picture. You can find more ideas around the web for sure – or you can check out this post and template from CT-Social.com. Your profile page where it’s displayed largest (400x400 pixels), easily seen by followers and non-followers provided that your profile isn’t set to “Private”. The picture also appears in the “Who To Follow” box, found at the right of your stream and next to your profile page’s link. Bottom line: If you want your profile pic to do its bit in recruiting new followers, picking an image that’s easily recognizable for your current and soon-to-be followers is a must. You may need to sit down with your graphics design team to decide what to use as your profile picture, or maybe you already have some ideas. Whichever the case however, there are a few guidelines to follow when crafting your Twitter’s profile picture. First guideline: Always start with a high-quality image whether you plan to use a brand logo or one of your photos. Post-production editing won’t cut it if you start with a dim, hazy, low-resolution image. A profile picture that lacks in sharpness makes you look cheap. Consistency also plays a crucial role in making your profile picture work. If you’ve found a profile picture that works, it’s good advice to stick with it and for good reason: your current and future followers have to deal with a lot of noise – there’s an email notification on the side, a phone ringing in the other room, and their Twitter stream is jam-packed. To catch and keep their attention, you need to ‘approach’ them with something they’re familiar and comfortable with – and that’s the job of your profile picture. So create a profile picture, make sure you did a good job, and keep it. Don’t change it after a few days, weeks, or months or you risk alienating your brand from your audience. Add a ‘human touch’ to your profile.You may be promoting a business or an event through Twitter, but keep in mind that your followers are human – and they’re on the social network to interact with fellow humans. So humanize your profile by adding images of people – like photos of previous attendees – in your header or profile picture. Take selfies and upload them.Taylor Swift currently has 51.9 million followers – and one of her secrets to building such a massive following is taking selfies with her fans. Twitter may not be the best platform for posting selfies. But when used sparingly, selfies keep your page human. Just remember to upload selfies directly to Twitter instead of trying to share it from another social network. Use words in your images. A picture paints a thousand words but you can convey your message clearer and faster by overlaying words in your image before sharing. A catchy slogan, caption, title, factoid, or quote makes it easier for your followers to comprehend what your tweet is all about. Keep it bright and lively. Twitter’s stream looks boring now– all of your links, tweets, etc. are posted against a plain, white background. So why not spice things up with colorful and bright pictures that are sure to stand out from the stream’s dull backdrop and catch your followers’ attention? Upload and share pictures directly.Link posts are essential in converting your social followers to website visitors and, eventually, to event attendees. But plain text/link posts – no matter how well-crafted – won’t generate as much interaction as an image tweet. Fortunately, you can always directly upload and share images on Twitter to go along with your text and link tweets. To do this, simply go to the “What’s happening?” box and click on the camera icon that appears. Just browse for the image you want to upload and share and you’re good to go. Steer clear from long, vertical images as much as possible.Long, vertical images get cropped and are difficult to view. Sometimes it can’t be avoided – such as when sharing a long infographic from another website – but stick to horizontal images whenever possible as these work really well for Twitter and other social networks.